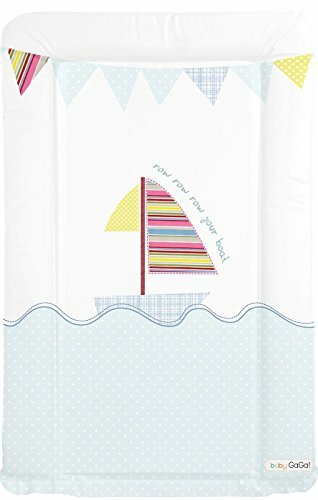 Very cute row your boat themed baby changing mat. Easy wipe down PVC changing mat with raised sides. Approx size 79 x 46 cm. Part of a wide range of changing mats available from DapperBaby. All mattresses comply with the rigorous requirements of BS 1877 Part 10 for safety and performance and BS 7177 for flammability without the use of any antimony, phosphorous or arsenic based fire retardant treatments. If you have any questions about this product by Baby Wise, contact us by completing and submitting the form below. If you are looking for a specif part number, please include it with your message.